Thank you for reading PrestigeOnline. 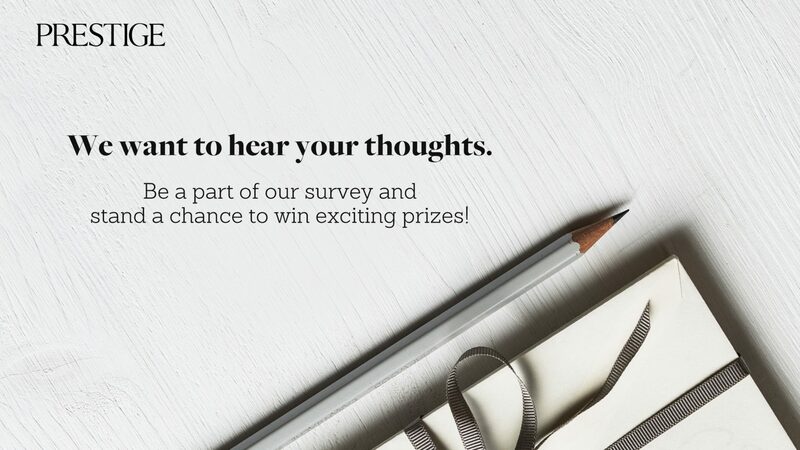 We’re committed to serving content you want, so tell us what you think about our site in the survey below. Survey participants will automatically enter our PrestigeOnline giveaway, with a chance to win attractive prizes. 2. When you think of PrestigeOnline HK, what comes to mind? e.g: "It's a great guide to the local society scene", "I know I'm going to see the who's who of Asia." 3. Which words best describe PrestigeOnline HK to you? You can select up to five words. 4. Why do you read PrestigeOnline HK? You can select up to three reasons. Please leave us your email so we can notify you for prize-winning purposes.